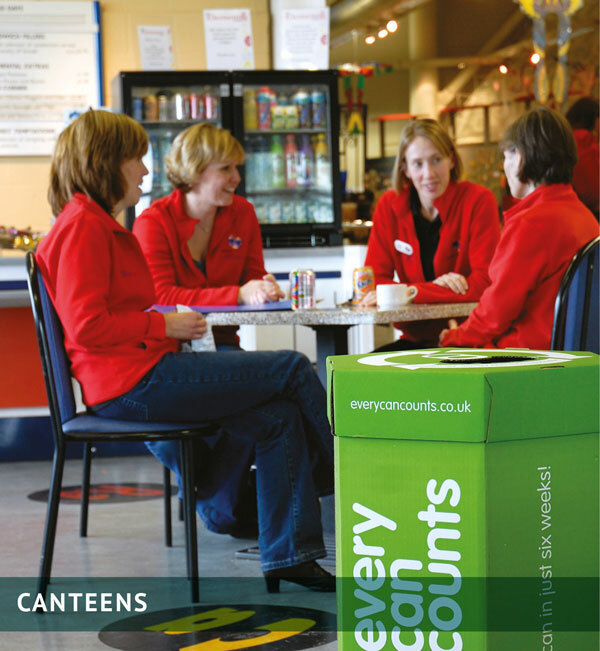 Every Can Counts works with organisations across the UK wanting to set up, or improve drinks can recycling amongst their staff and/or customers. 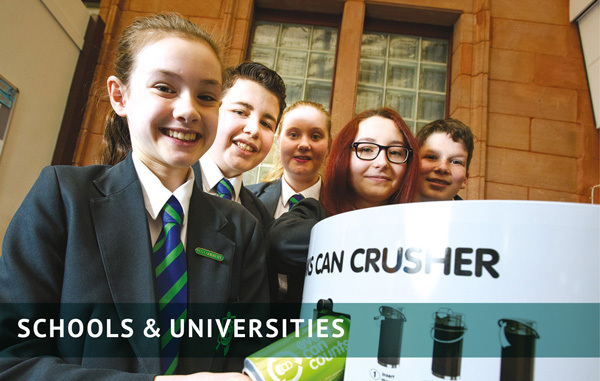 The programme provides assistance with finding a recycling service provider, supplies collection containers and offers help with promotion of the recycling scheme. Every Can Counts is a partnership between the major European and UK beverage can manufacturers and reprocessors and leading drinks brands. Results show that introducing Every Can Counts not only boosts recycling of drinks cans, but stimulates interest in recycling of all materials. Once you’ve registered you can order your starter pack and download promotional materials, and we will keep you up to date with the latest news and ideas from the programme. To register please visit the Every Can Counts website. Your current waste management or recycling provider may be able to add drinks cans into their existing service. However, if you need help finding a contractor, we will do our best to put you in touch with a collector in your area. 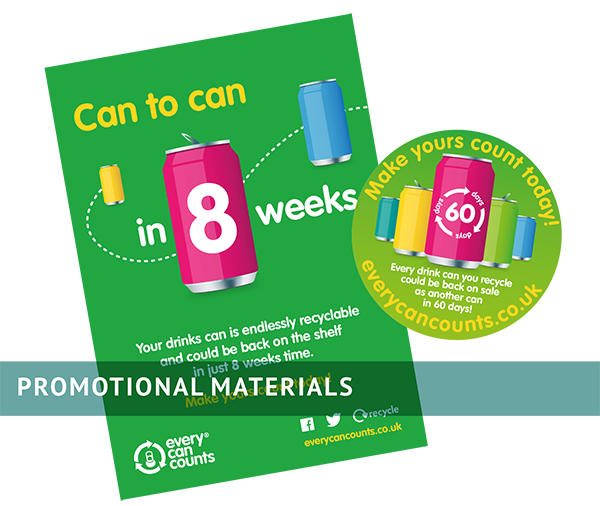 The Every Can Counts starter pack contains all you need to set up recycling points, including boxes, liner bags and posters. You can order a starter pack through our website, along with other materials to help encourage staff to get involved. Many of the resources you will need are FREE. Use Every Can Counts posters, fridge stickers and table talkers so everyone knows what, and where, to recycle. Why not hold a launch event? This would give you the perfect opportunity to promote drinks can recycling and show everyone that you’re doing your bit for the environment. You could use the free Every Can Counts resources to put up a display in the reception area, and organise a competition. Tell all staff, including cleaners, about the new scheme. And keep telling them! After all, Every Can Counts can only ever be as successful as the number of people in your organisation who actually put their empty drinks cans into the recycling box. Use staff and customer newsletters, emails and company intranet. Add your logo and campaign slogans to our poster templates and use noticeboards to promote the scheme. Keep it fresh – provide updates on how the scheme is going to maintain interest and make everyone aware that their efforts are worthwhile. The launch should get your scheme off to a good start but you will need to keep plugging the scheme if you’re really going to get people involved and keep them recycling. Make full use of staff notice boards, in-house newsletters, your intranet, E-zines and events within your organisation. 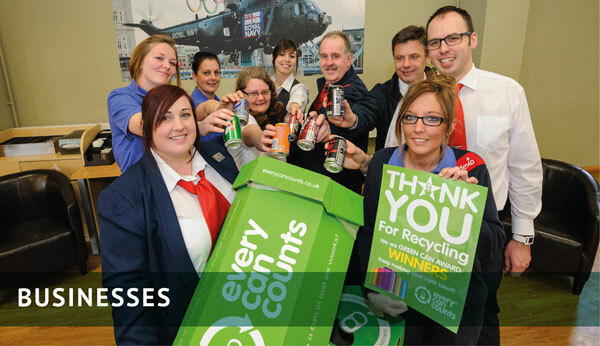 Check the Every Can Counts website regularly for the latest news, ideas and promotions. Encourage your Every Can Counts champion(s) to give regular feedback on progress and to use the downloadable resources to support internal communication, competitions and promotions. The success of Every Can Counts in the UK is now being replicated in other countries in the EU, including France, Spain, Austria, Hungary, Romania, the Republic of Ireland, Greece, Montenegro. The programme was recently launched in Poland.